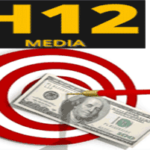 Everyone knows that content is the most important key for generating traffic for your website or blog. If you have targeted content which can actually solve the readers problem, they want to share it to their friends and families. Installing social sharing buttons on your website makes them easier to share your content or feed to their friends, family and others. These social sharing buttons installed on your website helps to gain your content more viral traffic to your website. Here I have listed some of the best and free to use social sharing button script providers along with their features such that you can select one which will appropriate as your needs. SumoMe.com provides smart social sharing and image sharing buttons which are most suitable for desktop, laptop, mobiles and many other devices. 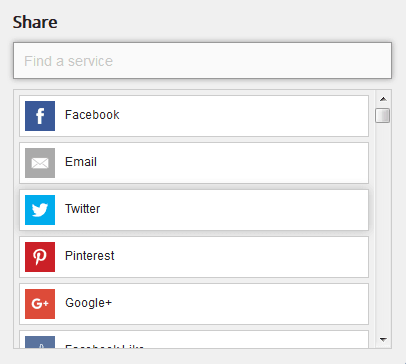 You can select and reorder the buttons which displays on the sharing bars floated on your website. It also allows you to adjust the position of the sharing bar but the subscribers of the forever free plan can display only on their default positions. It has different way for installing share buttons than other providers. You have to register, install the universal code on your website and have to add the sharing tool from their application store. 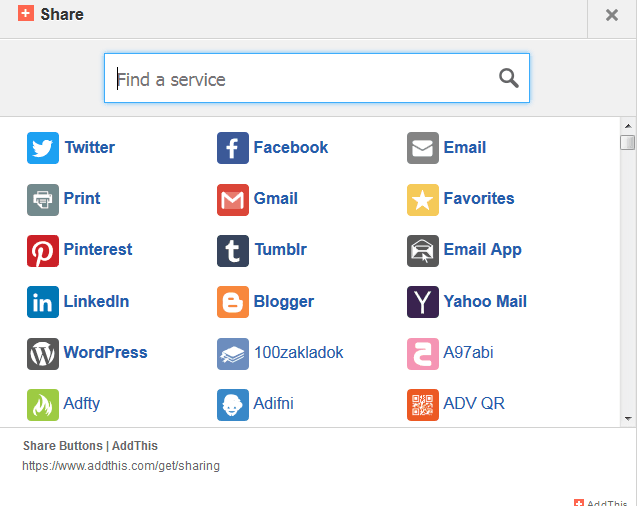 The sharing buttons provided by addthis.com are most popular on the web, which provides both free and pro sharing buttons. To use these sharing buttons, you have to register on it at first which also allows you to register using social networking accounts. You will get sharing buttons which overlays vertically on your website and image sharing buttons on free. Sharethis.com also another popular social sharing button script provider along with different customization options. It provides different installation options for different platforms like WordPress, Drupal, Joomla, TypePad, tumbler, Newsletters and mobile devices along with universal platform for websites. You can customize buttons and bars for different layouts along with the option for adding selected services. Getsocial.io is also another social sharing buttons script provider for free to used on your website but it limits its free service upto 50,000 visits in a months, for websites having more than 50,000 visits you have to pay for the service. The social sharing buttons provided by it are highly customizable and mobile friendly and you can also track the social shares on your website. Donreach.com provides easy to use code to add social sharing buttons on your website or blog. You can customize and rearrange the buttons with different layout. The default style provides responsive with count bubbles on hover. You can also set icon style with top bubbles and custom url. It also allows you to add bubbles on right with similar buttons of default styles. 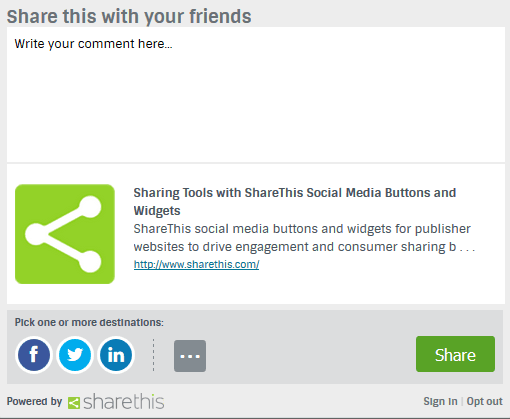 Shareaholic.com makes easier to share your website or blog content with providing professional social sharing buttons on free. It provides different themes and unique headline style along with horizontal and vertical layouts. You can also adjust the counters where you want top, side or badge and the alignment left, center or right.